The plans are ambitious, with around 150,000 square meters containing commercial space, offices, residences, and a hotel. Six underground parking levels, covering an area of 45,000 square meters, will be built at the base of the structure, in addition to a commercial floor connected directly to the light rail. The tower’s peak will include space for conferences and meetings, recreational space, and a 360-degree view of Tel Aviv and the surrounding area. it is predicted that approximately 100,000 people will pass through the center every day. Traditional Jewish sources provide additional details. Midrash (homiletic teachings) described “an idol on the top holding a sword, so that it may appear as if it intended to war with God.” The Midrash also described a structure built on tall columns designed to protect the tower from another divine flood. 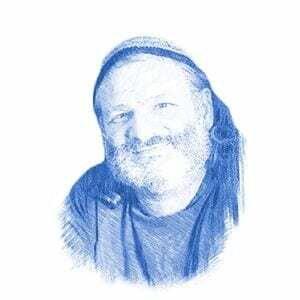 Yisrael Rosenberg is an author who has a powerful connection to the spiritual implications of construction. His daytime job is as a tour guide for the Western Wall tunnels.